DANCE GRANTS, The Dance Thinker, Issue #1. 1. Check out our new gallery of dance pictures. 1. The ‘good’ and ‘bad’ of earning a dance grant. A few days ago I created a special page for contemporary dance images only. It’s easy to find it through the site’s navigation bar. Just click on the button that says PICTURES and you’ll be there. You’re all invited to post your material (photographers or visual artists specially). Just contact me and I’ll tell you how to proceed. 1. Pretty obvious… but anyway, it’s the basics: the money. 2. Winning a dance grant gives you credibility and power to do things you could not do by yourself alone. 3. The filling of forms and presentation of reports to the institution that grants the price is of great value. 2. The dance grants determine creative formats. 3. Continuing to present your piece after the grant process is a hard work. 4. Having the facility of a grant may make you forget that art, to be sustainable, has to be managed as an enterprise. 1. Never work with dancers without a working contract. 2. Profit the circumstance to select the best ‘everything’ for your project. 3. Include one person in the team just for management and administration. 5. Make a short research about the specific prize you want to apply, before submitting. This is a local situation that might apply for choreographers everywhere. It can be of your interest if you’re planning to submit a creative project to a dance grant application. 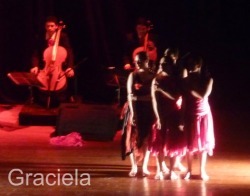 Since 2004, the city of Medellín (Colombia) has been giving an annual grant of around US 8500 to local choreographers, in order to support the dance production. I went to talk to four young artists who recently received this incentive, to see if they had experiences, tips or advices to share about it. As any professional dance project needs an important first investment, receiving this money allows choreographers without money (which is the case of many choreographers) to boost their project. -You have a stable group of dancers working for you. -You have a stable place (a studio, for example) to work. -You have the means to produce complementary elements for the piece like music, costumes, sets… etc. -You can shorten the total time of production required by the piece. These artists told me that they might have been able to produce their pieces without the dance grant, but that would have taken them a lot longer, maybe twice or three times … (time of search for the money required). What seems to be very obvious is that the production of one single dance piece needs a big economical investment, at least to have the minimal working material (dancers…). Though, one of these choreographers told me that money is not the only thing that retains your dancers. NEVER WORK WITH DANCERS WITHOUT A WORKING CONTRACT. Establish schedules, amount of working hours, conditions for the case that someone fails to come to rehearsals or leaves the project, etc., before starting to work. And that applies to musicians and all people that will be highly required during the process. It might sound too evident for you… if you’re in a social context with better working conditions for artists. Yet in this locality, dance is still something that people do because of their ‘passion’ to it. The importance of well established working conditions is underestimated and rarely put into practice. So, dancers might get paid (a symbolic amount, but something), but choreographers have to deal with a constant big headache because there’s no way to demand a professional attitude towards work (engagement, discipline, initiative, etc…). Now the people or institution that gives you a grant might not ask if you establish that kind of working contracts (which is the case here). Do it anyway for the safety of your piece and the protection of your name. Don´t forget that you will be held responsible for the accomplishment of the project and your dancers might give you annoying surprises, no matter how much you think you know them. - You have better access to public institutions or private enterprises (whether it is to rent a studio, ask a permission to shoot, reserve a location for a show or whatever). -You can also choose very experienced people to include in your working team. PROFIT THE CIRCUMSTANCE TO SELECT THE BEST ‘EVERYTHING’ FOR YOUR PROJECT (dancers, technicians, dressmakers…). Think of it as an exceptional opportunity in professional terms and make the best contacts possible. Your dance grant might open a door that helps you find a working group for the future. I must confess that I was surprised about what I was hearing. I used to think that filling forms and presenting documents would be seen as a tedious, ‘time-losing’ work. Well, these artists don’t think like that. They told me that if you’re young in this, all the administrative activity helps you organize and clarify your project. Also, they believe that you should be doing written evaluations during the process, even if you were on your own. Also, they think that the fact that presenting coherent and well written projects guarantees that the artists who receive the dance grant can work in a serious and rigorous way. One of them even thinks that this kind of reports could be useful as historical archives for future researches in dance. INCLUDE ONE PERSON IN THE TEAM JUST FOR MANAGEMENT AND ADMINISTRATION. Remember that these words: choreographer, director, manager, don’t mean the same. Even though you might want to do it all, evaluate your working circumstances and possibilities. Though it’s not everybody’s case, the biggest bad discovery here is that it is very difficult to predict the real cost of this kind of projects (including its planning, production and presentations). Who pays if there are unexpected expenses? You, of course. Are you willing to lose your earnings from so much work, for this? You might be thinking, naaa, this will not happen to me. Well remember that the unexpected is exactly that: unexpected (loss or damage of costumes, theaters lacking equipment, recently created taxes, technical issues… ) You just didn’t know, or expect, and there are sooo many possibilities. INCLUDE A HIGH PERCENTAGE OF INCIDENTAL EXPENSES IN YOUR PROJECT’S BUDGET. Ideal if it’s more than 10%. Remember that compared to other arts grants, choreographers still receive a very small payment for their work. It is important to keep your salary, if you believe in this as a profession. It might also keep you away from being very discouraged. It is the opinion of one of these artists, that a given, fixed amount of money for each choreographer (which is the case here), restricts the type of piece you create. If your idea is to create for twenty dancers on stage, you should be in a different category than those that are creating solos, I agree. But, the number of dancers is just one of the possible items you might count in a budget. MAKE A SHORT RESEARCH ABOUT THE SPECIFIC PRIZE YOU WANT TO APPLY, BEFORE SUBMITTING. Maybe that grant is just not right for your project. Or, if you’re ready to work for that specific award, adjust your project to its conditions, before starting the whole process. I’ve always thought that the work of choreographers is highly underexploited. Very few achieve to make tours or profits from one same piece presented many times (in the case of receiving a grant I think that’s a big missed opportunity). If you have a manager vocation, this might not be such an important deal for you. Just go on and sell your show. But again, this is not the common case among choreographers, so I’ll insist on what I said before: a manager in the team is a very important part of the economical success of your project and its future. When you first present your work, you might get some ‘post-labor’ tiredness… (for some of us it’s intense). The manager might be crucial at that moment to keep the piece touring, as s/he will take over a heavy part of the responsibility. It’s great to receive a grant, we all agree. But that will not take you very far if you don’t continue working on your own and sell what you do. 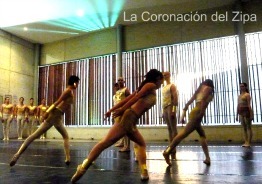 Interviewed choreographers: René Ydrogo (La coronación del Zipa), Federico Zapata (La Muñeca del bosque), Felipe López (MOVI-DOS), Natalia Giraldo, Biviana Quiroz, Juliana Mejía, Ana Isabel Lopera (Graciela). If you like the topic of being a choreographer, check out this recently posted article: Better Niagara on a tightrope. Remember that you can reply with comments and rate.